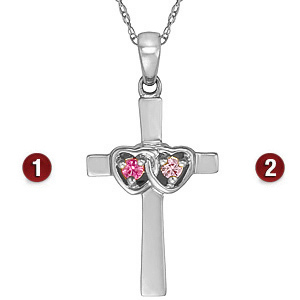 Handcrafted in polished sterling silver, the Promise Cross is set with two 2mm round genuine gemstones. Select a birthstone color for each gemstone. Cross dimensions: 22mm x 13mm, the size of a nickel. Engraving not available.